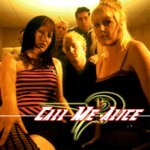 “Solid, grounded rock music meets the dangerously passionate and frighteningly theatrical” would be a dead on description of Call Me Alice. Call Me Alice is definitely a new sound and perceptual experience. The music is ultra modern, melodic, hook-oriented and, above all else, it rocks. The 5ive member clan combines a strong diversity of musical styles and harmonic approach to the lyrics.